Sony announced earlier this week at the annual Game Developers Conference that its PlayStation VR headset would go on sale this October priced at $399.99. That's significantly less than competing high-end products like the Oculus Rift and the HTC Vive but it came with an asterisks – it doesn't include everything you need to get up and running (sans the PlayStation 4, of course). To remedy the situation, Sony on Friday announced a bundle that will include everything needed to get started from day one. 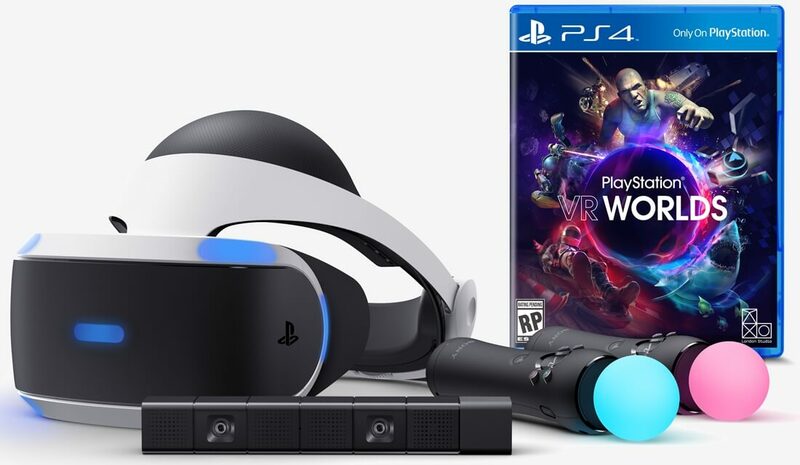 The PlayStation VR Launch Bundle includes the VR headset and all of the necessary cables as well as a set of stereo headphones, a PlayStation VR demo disc, a PlayStation Camera, two PlayStation Move motion controllers and PlayStation VR Worlds, one of the platform's launch titles. Sony said pre-orders for the PlayStation VR Launch Bundle will open on March 22 at 7:00 am PDT priced at $499.99 ($699.99 in Canada). The bundle is said to be offered in limited quantities so if you really want one, locking in that pre-order ASAP sounds like a wise move. Interestingly enough, the core PlayStation VR package is not available for pre-order. It's worth reiterating that the PlayStation Camera is required for the VR experience but the Move motion controllers aren't (you can just use the PS4's DualShock controllers). The PlayStation 4 camera currently retails for around $45 on Amazon while the Move controllers go for just shy of $30 each. That said, the bundle doesn't really offer a ton of value although you do get the free game. As such, those that already own a PlayStation Camera will save money by simply purchasing the Move controllers separately should they so choose.